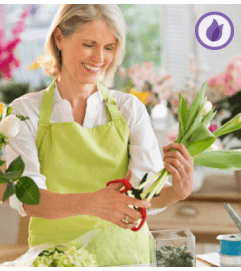 Whether they helped you move, got you through a difficult time or you just love to see them smile, let them know they'll always be a star in your eyes. This festive, arrangement features vibrant yellow roses and sunflowers complimented by beautiful blue delphinium. 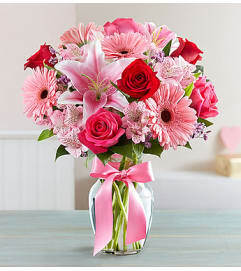 Best of all, it's set in a keepsake vase that will perfectly express how you feel. 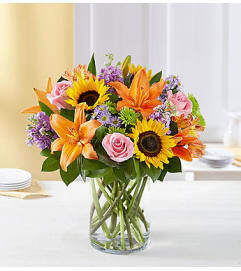 Vibrant arrangement of yellow roses, light blue delphinium, sunflowers, solidago and variegated pittosporum. 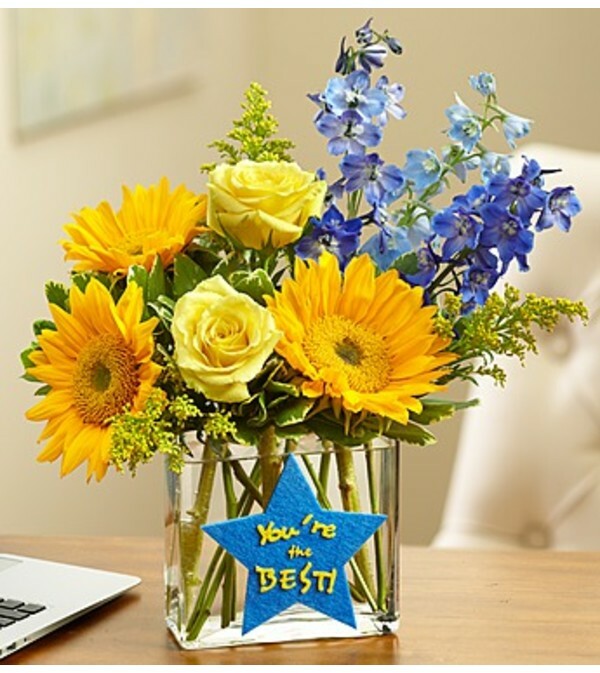 Arrives in a 6"H clear glass rectangle vase; features a "You're the Best" felt star.